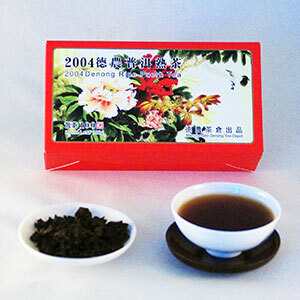 Taste characteristics: Broken from cakes, this tea has been aged in Kunming Yunnan. After almost a decade of aging, the word to describe this tea is delicious – clean, savory and sweet. The most important process in the making of a good ripe Pu-erh is the proper fermentation of the tea leaves. This requires great skill and experience of the tea master. Denong Tea Factory employs one of the most renowned tea masters in Yunnan to ferment their ripe teas. If you have tried or are a fan of ripe Pu-erh manufactured by Denong, this tea is a great one for a great value. Use 6g of tea leaves and brew in a 3-4 oz gaiwan or Yixing teapot. After trying many different ripe Pu-erh teas, this one stood out as my favorite because of its rich, earthy flavor. I get many brews out of a small amount, and each brew has a slightly different take on the flavor that makes it fun. I look forward to drinking this tea every morning, all morning long!